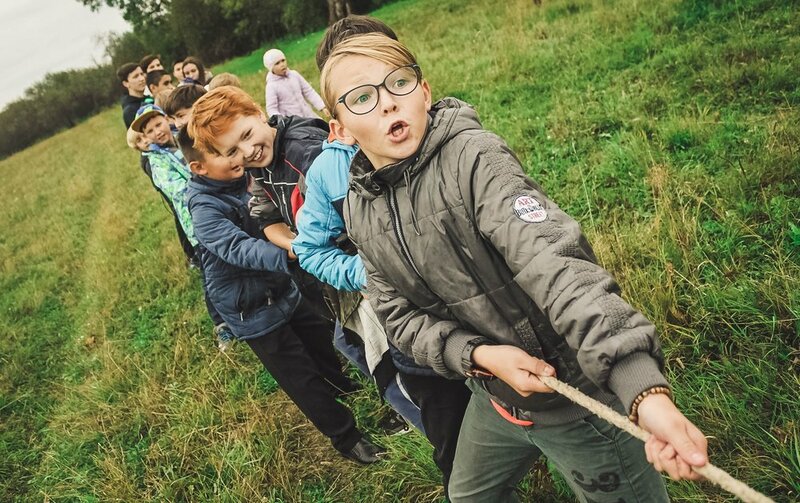 5 Practices That Will Make You a Better Leader | Knapsack Creative Co.
From being a troop leader in Boy Scouts, to leading church teams, to heading up design teams, to running my own company, I've had a lot of opportunities to try, fail, and learn from my experiences. In this post I'll share a few of the key things that have helped me become a better leader over the years. Let's get to it! One of the most important things about being a leader is being aware of your strengths and weaknesses. Most people are willing to follow a leader who readily admits and guards against their weaknesses. It's much harder to follow one that that goes on blindly without addressing their shortcomings. You can start learning your weaknesses by taking a personality test, journaling, and asking family and friends for their honest opinions about your strengths and weaknesses. For more ideas on this, check out 6 Practical Ways to Become More Self-Aware. Once you learn your weaknesses, be open with your team. Let them know what you're not good at (they probably already know), and that you need their help to fill in the gaps. For example, I've always struggled with responding to emails and messages in a timely manner, so I've asked Joy to be responsible for most client communication. When I do need to email with someone, Joy helps keep me accountable to get it done. Your "why" is the underlying reason that motivates everything that you and your team are working toward. Goals are important, but having your mission defined first brings more meaning and passion to your daily work. Knapsack's "why" is Helping people be successful at doing what they love. Our mission to help everyone we come in contact with be successful at what they're doing, or help them transition to something that they love so that they can succeed. It took me years to chip away at our mission to get to our core "why", but the book Start with Why by Simon Sinek has been a huge help to me, and I highly recommend it. Once your have your mission defined, you need a way to make it practical. You need a way to make sure you're working toward your mission on a monthly, weekly, and daily basis. Having concrete goals that align with your mission will give you and your team something actionable and measurable to help you gauge whether you're making real progress. Once you have your SMART goals set, make sure that you keep them in front of yourself and your team so you can review and revisit them often. One of the most discouraging things as a team member is to feel like your good ideas will never be incorporated, or that problems that you see in your organization will never be solved. Not only is this frustrating for that one person, but the whole team is missing out on improvements because there is no system for incorporating these ideas or solving these problems. The way we address this at Knapsack is to have a Slack channel where anyone on the team can post an idea or concern that they have throughout the week. (Sort of like a suggestion box) Then every Friday at 10am we discuss all of the new ideas and decide whether or not to take action on each. I personally am not the type of leader that leads with charisma. I sometimes wish I was more engaging in that way, but I'm not. Instead I lead with creativity and ideas. I think one of the reasons that Knapsack has been successful so far is that I enjoy learning and incorporate new ideas into my business. And that's really just because I'm a curious person who loves to learn and experience new things. Find out what your learning style is and start a habit that will help you learn consistently. That's all for me. How about you? What are some things that have helped you be a better leader?